La Jolla Beach and Ocean Front Real Estate! 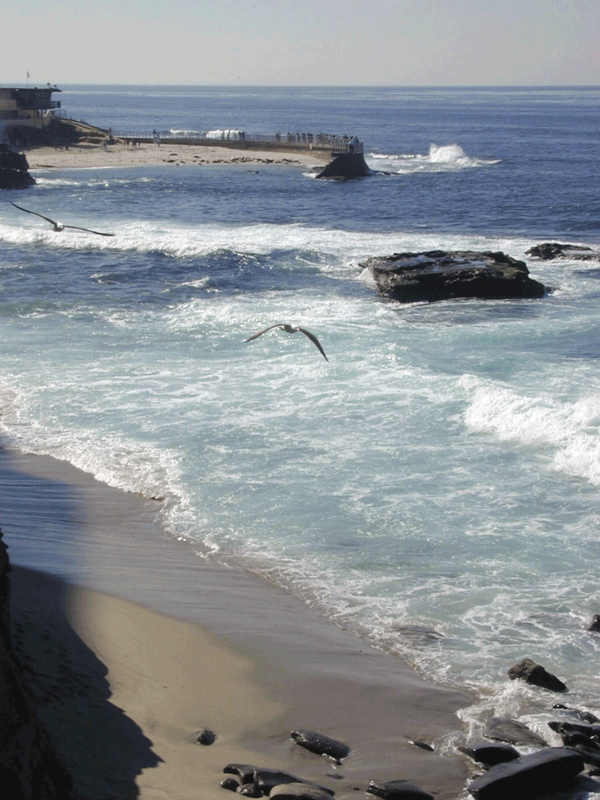 Why is a walk on the beach in La Jolla so calming but energizing? There are several things that draw us to the beach. Not only the sun and fun in the water but did you know it has been suggested that the crashing waves create ions that electrically charge and invigorate us? Do those crashing waves hypnotize us with their rhythms? Sometimes those same waves even relax us into a much needed nap. Similarly, the heartbeat is rhythmic and calming, the lullaby for infants to sleep by. Are we drawn to the Ocean out of curiosity to what lies beneath? Or is there a scientifically explainable reason? Does salt water cleanse our bodies own electrical field as some suggest? We do have concentrations of salt in each one of us so it’s natural to be drawn to the Ocean. For the surfer that did not get the chance to catch our local news ‘surf reports’, you will find them gazing into the oceans swells to calculate the potential to catch some great waves. For the artists, enjoying a serenity that brings out the creative ability hidden underneath the flurry of activity in their everyday life. Natural, powerful, thought provoking, yes, our ocean most certainly is ..
will always be very special and virtually unrepeatable.